An original Guernsey folktale mined from the glorious folklore recorded by Marie de Garis, this new book by Magnus and Charlie Buchanan is out this December. The book launches with a major show of all 17 original watercolour paintings in association with Art for Guernsey, in the Inner Market, St Peter Port Guernsey December 12th 2018. Osmond the Owl Boy is a dark fairytale imagined and illustrated by Charlie Buchanan due for publication in 2015. It tells the tale of Osmond, a little boy who discovers he is descended from owls then faces all the trials and tribulations of being different. The story is loosely set on the beautiful Channel Island of Sark and takes inspiration from one of the island’s most famous creatives, Mervyn Peake and his novella Mr Pye. 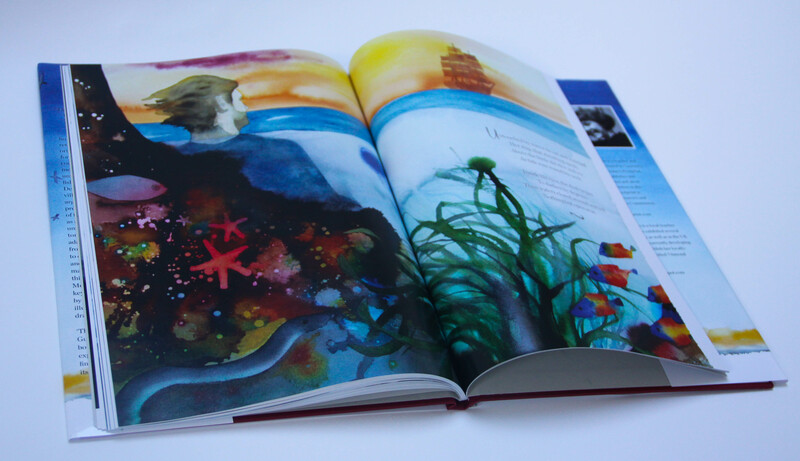 The tale is a hymn to self-discovery and self-realisation, with 16 ink illustrations which draw on the starlit beauty of the island and the dark corners of all our psyches. Charlie’s co-creator Magnus has set the tale in 14 simple yet irreverent rhyming couplets as we follow Osmond from his unconventional arrival to his daring and dangerous fight with a monster form the Venus pool. As J.R.R. Tolkien once said there is no such thing as writing for children: Charlie’s new work takes readers aged 1-100 on a dark journey where bravery and being yourself are the metaphorical wings to let you fly free. 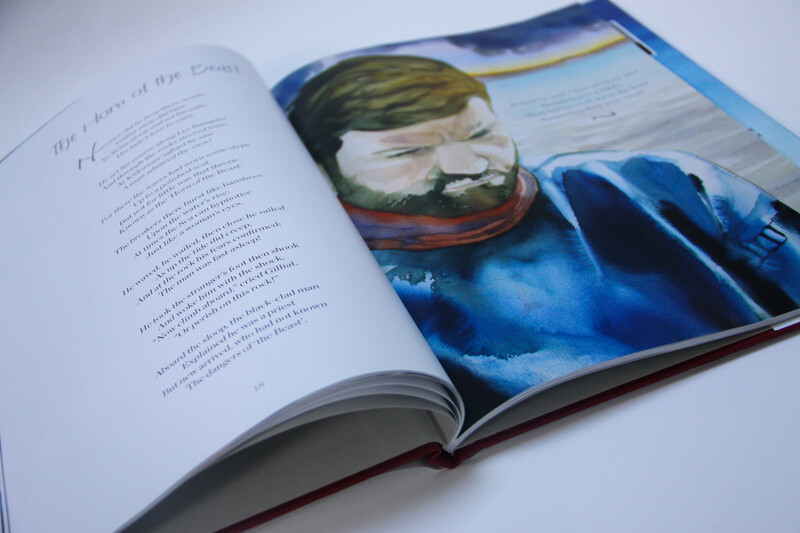 As with Charlie’s first book The Soul of the Sea, the book has been beautifully designed by artist and graphic designer James Colmer. Please see Charlie’s contact page for information on pre-ordering the book which is due for release in April 2015. The bells the only sound. So begins the eerie voice which retells the story of Victor Hugo’s 19th century novel The Toilers of the Sea in the form of an epic ballad. Hugo wrote the book while exiled on the island of Guernsey during the late 19th century. In this new version adapted by Magnus Buchanan in over 250 stanzas, readers will meet or rediscover all of Hugo’s unforgettable characters – the stoic fisherman Gilliat, the fickle beauty Deruchette and the treacherous Captain Clubin. However, arguably the most memorable presence of all in the tale is that of the sea, personified here as a femme fatale luring the unsuspecting towards a watery tomb. Charlie Buchanan’s co-creator Magnus’ version takes inspiration from Hugo’s lyrical descriptions to capture the blend of infatuation and fear at the heart of every mariner’s relationship with this most seductive of deities. Meanwhile, many of the story’s key moments are illustrated by Charlie’s lavish illustrations capturing the dramatic scope of Hugo’s vision. The book is beautifully designed by artist and graphic designer James Colmer. The Toilers of the Sea is arguably one of Guernsey’s greatest myths; experienced deck hands and first time voyagers alike will find much to lure them back to its siren call in this new version. Please see the contact page for information on purchasing the book.